Annual membership runs from 1st April until 31st March the following year. It is really easy to join. For 2019/20 it’s only £95 for a family, £50 for an adult, £30 for a senior (over 65) or £25 for a junior member. Do it online by clicking here, or phone the membership secretary on 01227 752424. - free use of the courts. - entry into the Wimbledon ticket draw if you are a British Tennis Member (click here for more details). - access to coaching sessions run by Danny, our LTA licensed Level 3 Club Coach. - opportunities for competitive tennis in local leagues. - entry into club tournaments and competitions. We also hold a spring social in April each year to which you will be invited. This is a great opportunity to meet other members of the club, pay your subscription if you have renewed online and opted to pay by cheque, and qualify for the Wimbledon tickets draw, which also takes place on the night. (Make sure you are a British Tennis Member - it is free ! 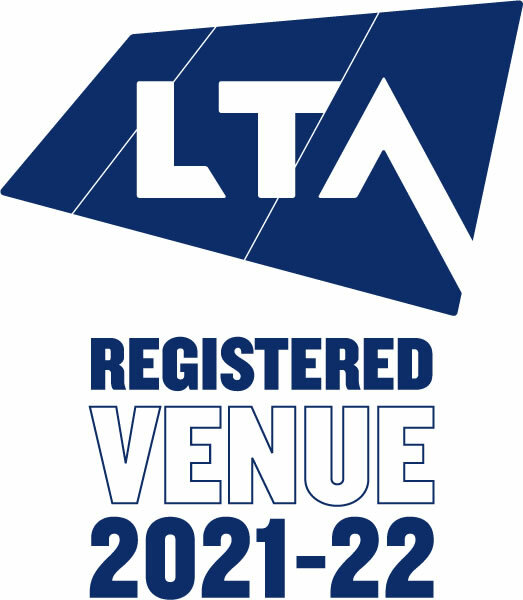 Just sign up on the LTA website by clicking here and optin in to the Wimbledon ballot). The committee will be there to welcome you and answer any concerns or questions you may have. It will also be an opportunity to talk about ideas you may have regarding the club. Please check out our Welcome Letter, Membership Brochure and Newsletter (see panel on the right) to find out more information about the club. Membership fees for 2019/20 have been increased slightly:- Family membership from £85 to £95; Adult Membership from £45 to £50; Junior Membership £25 unchanged; Senior Membership from £25 to £30. The club has implemented an online membership system that will simplify the process for new or renewing members. This will allow payment online or by cheque. As its a new system, there will inevitably be teething problems so please bear with our new membership secretary, Liz Dear, who will guide you through the process if you have any difficulties.